The steady rise in sugar consumption has been attributed to the increase in obesity rates worldwide. Drinks containing high amounts of sugar like soda and fruit drinks account for a large portion of the sugar ingested throughout Europe and the Western world today. The problem has become such an important public health issue that officials in the United Kingdom may be considering a 20% tax levy on sugar-sweetened soft drinks. In a recent study published in the British Medical Journal, the researchers estimated that a soda tax would slash 180,000 cases of obesity in the U.K., and would reduce the number of overweight people by 285,000. While a soda tax has not come about yet, it seems more and more governments are starting to understand the health burden that high consumption of sugar can have on the health of the population and the tremendous “ripple-effect” that in can have in a society. The researchers in this case calculated their data from food and drink purchase surveys, the pricing of the drinks, and body weight. They estimated that a 20% tax on soda would reduce the consumption of sugar-sweetened beverages by approximately 15%! The demographic most affected by this tax would be young adults aged 16-29. Back in the U.S., similar tax proposals have been defeated in cities like Richmond and El Monte, California who tried to institute a one cent per ounce tax upon soda consumption. In New York, the mayor’s proposal to ban the sale of large-sized soda drinks was dismissed. In San Francisco, several city council members are suggesting a two cent per ounce tax on sugar-sweetened drinks. Mexico, the country with the highest obesity rates in the world (32.8%), is also considering a tax of one peso per liter of soda. Mexicans drink 43 gallons of sugar-sweetened soft drinks per year, compared to the 31 gallons that Americans drink. Do you think people who want to drink soda should pay a higher price? Don’t people who purchase cigarettes and alcohol have to pay a higher per-capita tax on these purchases? 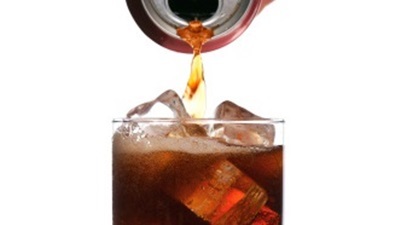 If the greater consumption of an item can potentially lead to increased health-related costs, which is the case with tobacco and alcohol, can the same be said for soda? Well, what about snack foods and junk foods? Should foods that have a greater risk of causing obesity be taxed at a higher rate? What about people who wish to enjoy these products in moderation without the risk of becoming overweight or obese? Is it fair that these folks also pay more for the occasional treats? In my opinion, very small increases like this are NOT going to change sugar consumption rates. To prove this, look at the consumption of alcohol and tobacco. Despite the continual increases in taxes over the last several decades, people will continue to find a way to afford their particular vices including tobacco, alcohol, soda, and junk food. If you want to decrease the consumption of these foods, focus on educating parents about healthy eating and the importance of instilling good nutritional habits in their children.